If you’ve read my Self-Guided Walking Tour Barcelona, you know that I think this city is overhyped. 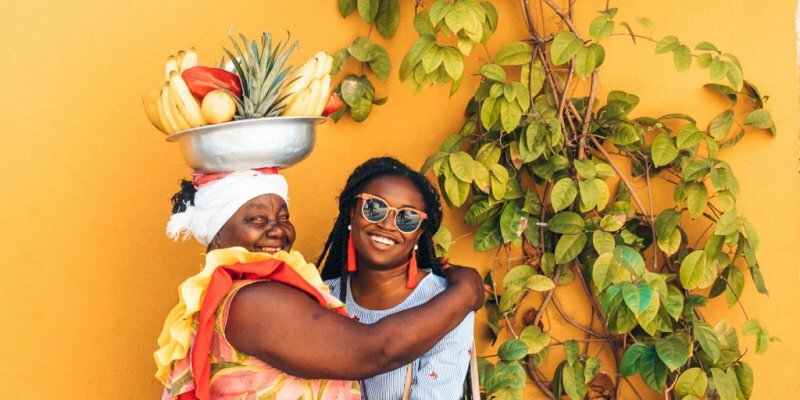 You’ve probably read or heard a million times that Barcelona is the number one city to visit in Spain. I beg to differ. 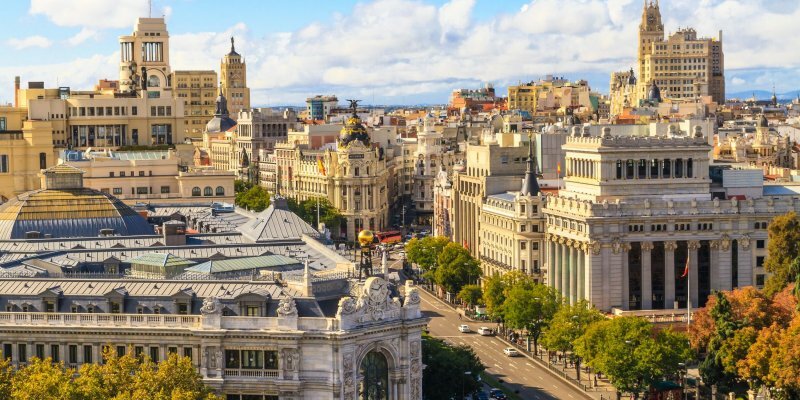 After living in Spain for 1.5 years, I compiled a list of the 8 most beautiful and underrated cities to visit in Spain. I’m not mentioning this just to bash Barcelona – far from it. I believe Barcelona is definitely worth a visit, especially because of the Gaudi architecture. I just don’t want you to go to Barcelona thinking that it’s the best that Spain has to offer. It’s far too commercialized and trendy for you to get a taste of the ‘real’ Spain if that’s what you’re after. 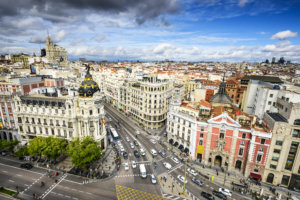 What’s the best place to experience the essence of Spain? In my humble opinion, that would have to be the beautiful Andalusian city of Granada! Walking time: approximately 2 hours if you follow the route without stopping. I’d recommend you reserve half a day for this tour if you want to spend a good amount of time at each place. 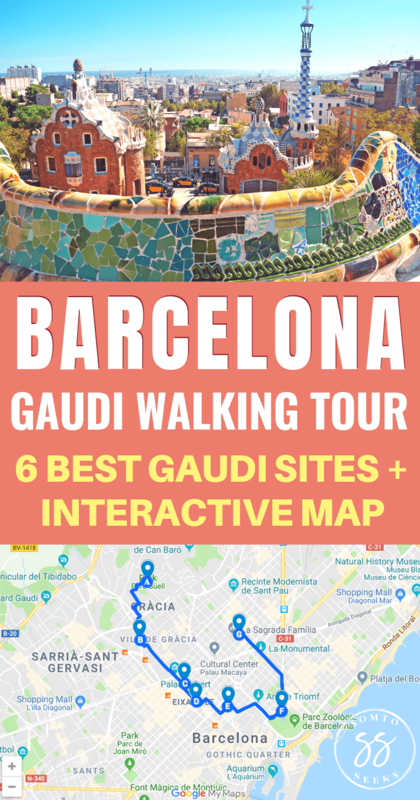 Also, it may be a lot to see all six Gaudi sites in one day so another option would be to break the tour up over 2 days. Comfortable shoes – wearing some running shoes with soles that provide support. The Nike Air Max Thea Sneaker is a great choice. Portable WiFi – I use the Tep Wireless Pocket WiFi device to access wifi abroad. it’s a better alternative to using SIM cards or racking up roaming fees. It’s also really convenient and reliable. 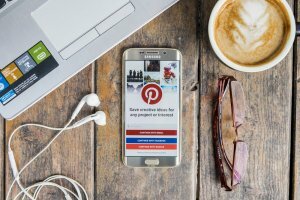 You can read my full review of Tep Wireless to seek if it’s the right pocket WiFi for you. Water – stay well hydrated, especially if you visit in the summer! Map or GPS – with pocket wifi, you can access Google maps or Apple maps on the go. In Spain, Google maps’ directions may be a little off (in my experience, at least). A good alternative would be the Moovit app, which is free to download. 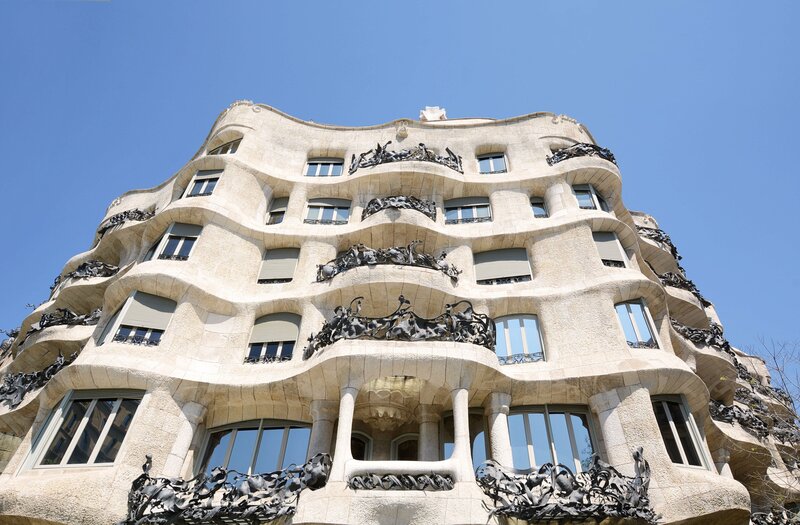 Camera – A DSLR will capture those Gaudi buildings so much more beautifully! I always recommend the Nikon D3400 for beginner photographers. It’s very simple to use. 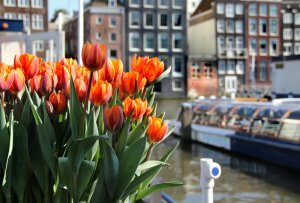 Snacks – pack some fruit, cookies, or some other snacks if you get hungry easily, like me. 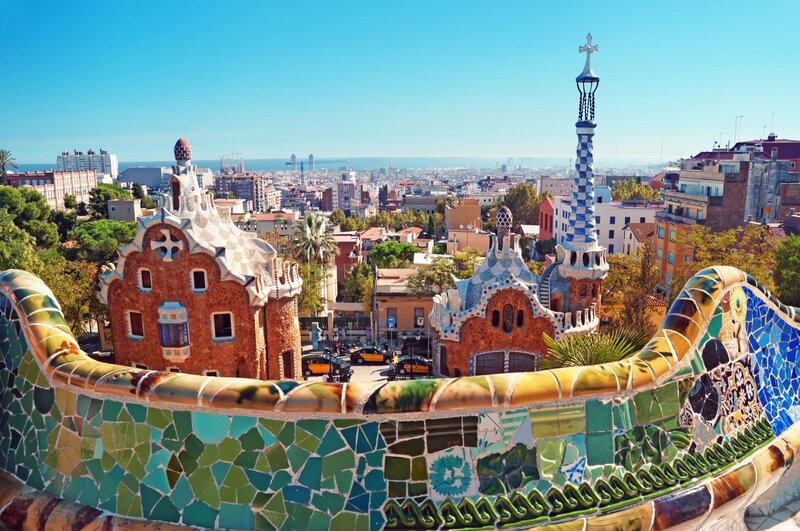 Our first stop on this walking tour is Park Guell, the whimsical, cartoonish park that looks like something out of a Dr. Seuss book. It’s like a wonderland of gingerbread houses, quirky pathways, and mazes. Park Guell, which was opened to the public in 1922, is one of Gaudi’s most visited buildings in Barcelona. The park was officially commissioned by a Catalan businessman called Eusebi Guell in 1890. He wanted Gaudi to build a ‘garden city’ inspired by nature. The park is perched on a hill in the El Raval district overlooking Barcelona. 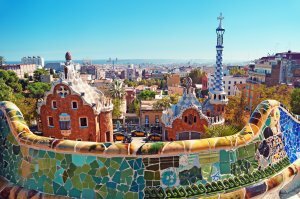 The history of Park Guell is just as interesting as the park itself! You can tour most of the park for free. 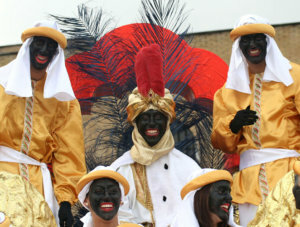 But you’ll need a ticket to get into the main fantasy world, known as the monumental zone. You can buy your ticket online at the Park Guell website to save you from waiting in line. I’d purchase my ticket at least a couple of days in advance because this park is very popular with tourists. Another thing to keep in mind is that there is a limit on the number of people who can enter the monumental zone each hour. 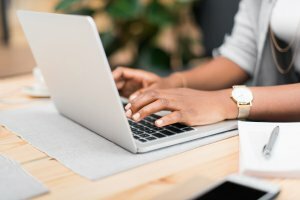 That’s another good reason to purchase your ticket online before you go. A great way to make the most out of your visit to Park Guell is to do a walking tour with a live guide. 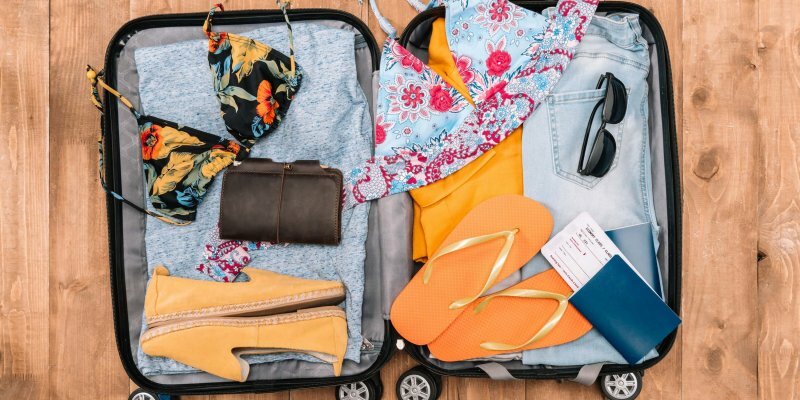 With this tour, you also get to skip the lines, and you won’t have to worry about the hourly limit on the number of visitors. 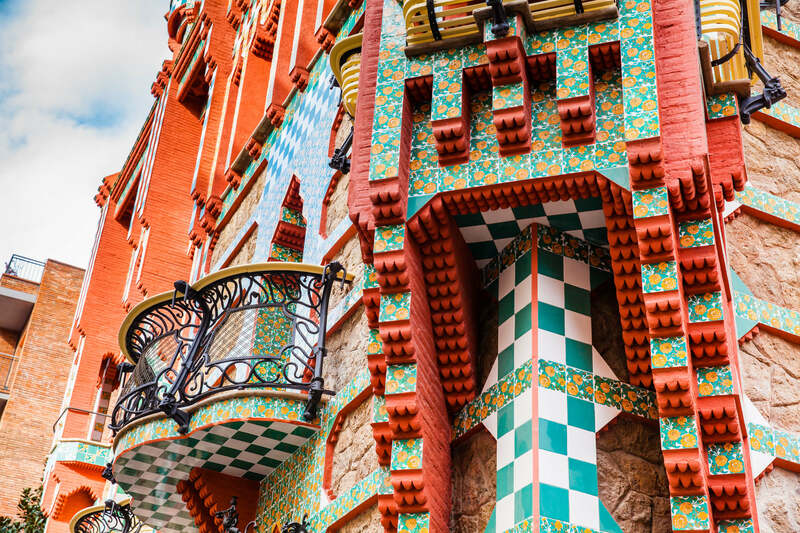 Gaudi’s buildings are known for their eclectic design, but Casa Calvet is an exception. It actually just looks like a normal building with a heavy Baroque influence. 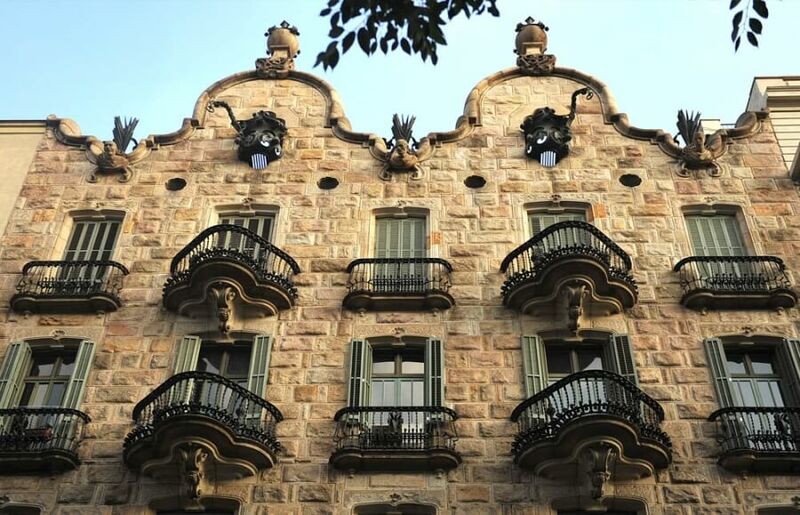 Casa Calvet is located in the Eixample district, where you’ll also find La Sagrada Familia. Gaudi built it for a textile manufacturer known as Pere Martir Calvet to use as both his factory and residence. Gaudi didn’t just build houses. 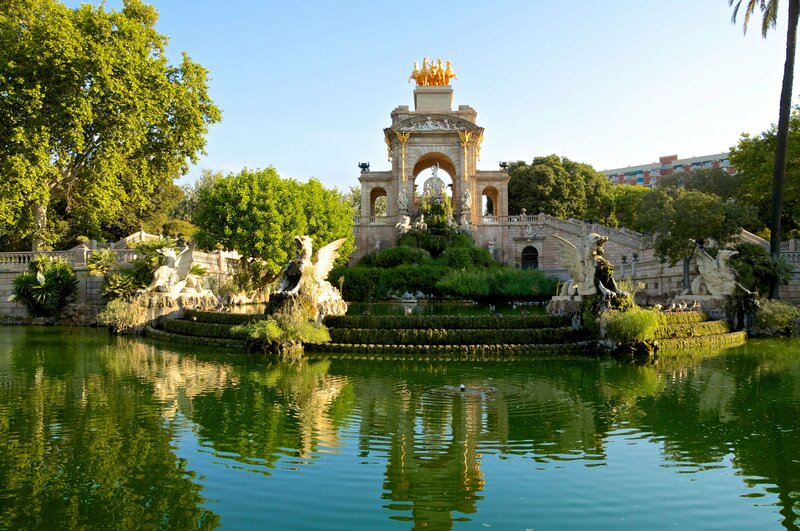 He also built the Cascada Monumental fountain at Parc de Ciutadella. This parc is a great place to sit and relax a bit when you tire of the crowds in the city. The ornately-decorated Cascada Monumental is located at the north of Parc de Ciutadella. Some people compare it to the Trevi Fountain in Rome. I’m not sure about that. You’ll have to see for yourself. Visiting the park and the fountain is free. Well, I saved the best for last. I’m sure you’ve heard about La Sagrada (Church of the Holy Family) Familia a million times. There’s a good reason for that. This basilica is easily Gaudi’s greatest masterpiece. Gaudi devoted his final years to building La Sagrada Familia but never completed it. In fact, the basilica is still under construction as of today. It is slated for completion in 2028, which will be 145 years since construction began. For me, the most impressive part of La Sagrada Familia is the interior, which is built in the Gothic style. 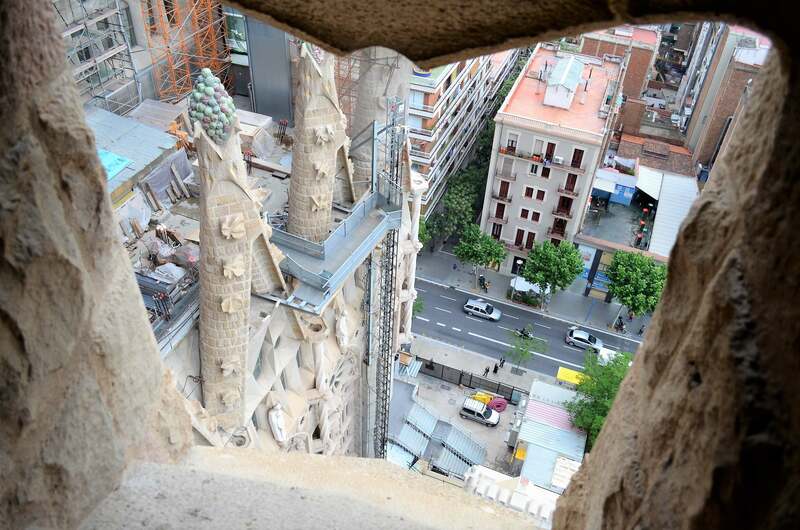 The best way to experience La Sagrada Familia is through a guided tour with access to the Nativity Tower. You can explore the interior and the towers higher up the building while listening to an audio guide. 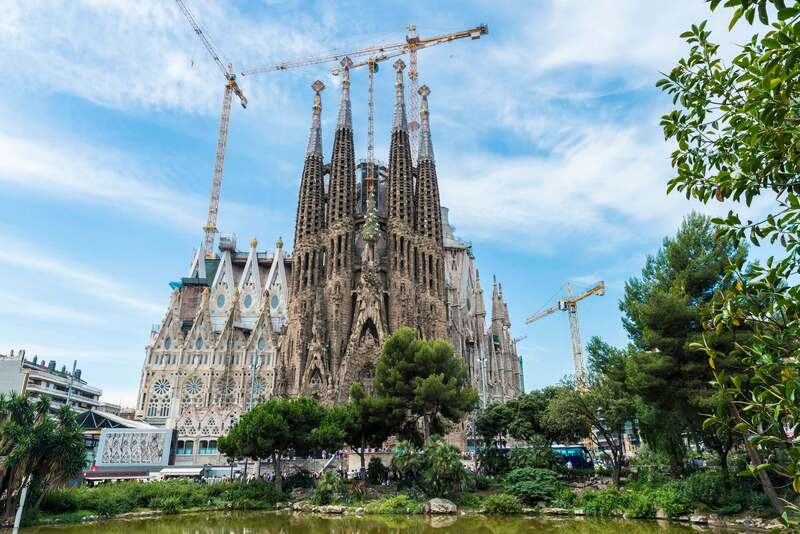 To plan your visit, also check out the 5 mistakes to avoid when visiting La Sagrada Familia. 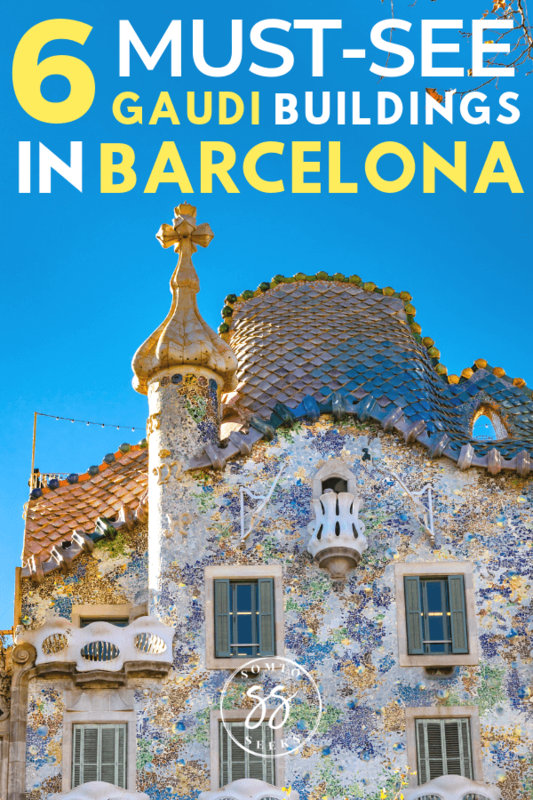 There you have it – your very own self-guided Gaudi walking tour of Barcelona. 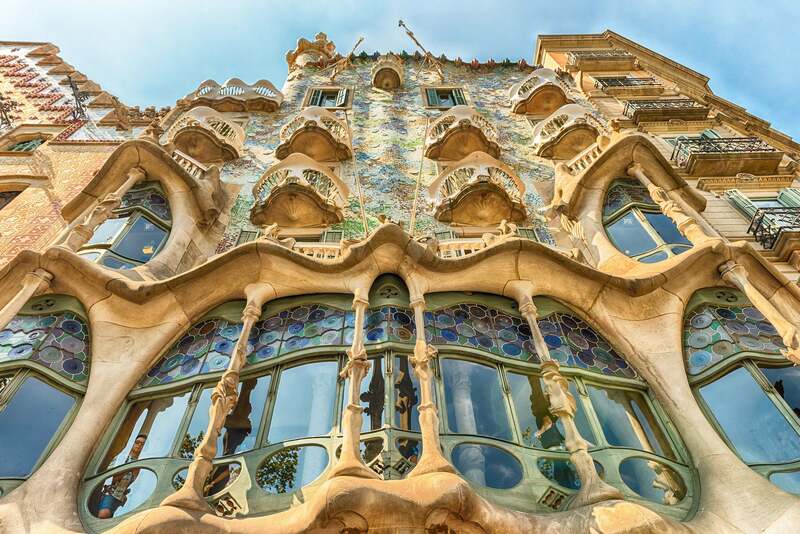 Which of these Gaudi sites are you most excited to see?